All six Sox affiliates saw action on Thursday night. Ottawa blanked Pawtucket 3-0. Abe Alvarez started and went 7 innings giving up just 1 run on 7 hits.He walkws 1 and struck out 4. Craig Breslow pitched the final 2 innings. He gave up 2 runs on 3 hits. He did not walk a hitter and had 4 Ks. Adam Stern and Jeff Bailey each went 1 for 3. Portland defeated New Britain 8-3. Devern Hansack went 7 innings for the win. He did not give up a run on 7 hits. He walked 1 and struck out 3 Ks. Rusty Tucker went 1 inning giving up 1 run on 3 hits and a BB. Victor Ramos went 1 inning allowing 2 runs on 2 hits and a BB. Tyler Minges went 2 for 5 with 2 runs scored and a RBI. Chad Spann went 2 for 5 with a home run, 2 runs scored and 2 RBI. Luis Jimenez went 2 for 4 with 2 RBI. Wilmington got by Lynchburg 6-2. Gary Galvez got the win going 6 innings and allowing 2 runs on 4 hits and 2 BB. He had 3 Ks. Kyle Jackson went 1 2/3 innings. He did not allow a run on 1 hit and a BB. He had 4 Ks. Andrew Pinckney went 3 for 3 with 2 runs scored. John Otness went 1 for 3 and had 2 RBI.Greenville blanked Lexington 4-0 in 11 innings. Michael Bowden went 5 innings allowing 0 runs on just 1 hit. He walked 1 and struck out 5. Chad Rhoades pitched 2 scoreless innings. He gave up 2 hits and struck out 1. Jason Blackey went 3 scoreless innings. He allowed 3 hits and had 1 K. Blake Maxwell pitched a perfeact inning of relief for the win. Mark Wagner went 2 for 4 and scored a run. Logan Sorensen went 1 for 4 with a grand slam home run in the 11th inning. Oneonta defeated Lowell 3-1. Jeff Farrell took the loss going 4 innings. He allowed 3 runs on 3 hits and 2 BB. He had 3 Ks. Jean Guillen went 2 innings. He did not allow a run while giving up 3 hits and a BB. He had 4 Ks. Justin Masterson went 2 innings allowing 0 runs on 1 hit. He struck out 3. Zach Daeges went 3 for 3 with a RBI. Reid Engel went 1 for 3 with a run scored. In the GCL, the Red Sox edged the Reds 4-3. Ryan Colvin went 2 scoreless innings allowing 1 hit and a BB. He had 1 K. Jorge Rodriguez went 3 innings and gave up 3 runs on 6 hits and a BB. He had 3 Ks. Mauricio Mendez got the win going 3 scoreless innings. He gave up 3 hits and struck out 3. Pedro Vasquez went 1 for 2 with a home run, 2 runs scored and 2 RBI. Player of The Night: Michael Bowden who went 5 shutout innings allowing just 1 hit and a BB. He had 5 Ks. Every affiliate except Wilmington saw action last night. Pawtucket edged Ottawa 5-4. David Pauley started and went 6 innings. He gave up 4 runs on 6 hits and 3 BB. He had 4 Ks. Barry Hertzler got the win going 2 innings. He did not allow a run on 1 hit and a BB. Jermaine Van Buren got the save pitching 1 scoreless inning while allowing 1 hit. Adam Stern went 3 for 5 and scored 2 runs. David Murphy went 4 for 4 with a run scored and a RBI. Ron Calloway went 3 for 3 with a RBI. Dustin Pedroia went 2 for 5 with a run scored and a RBI. Portland defeated New Britain 12-4. Jose Vaquendano started and went 4 innings giving up 4 runs on 8 hits and 2 BB. He had 2 Ks. Jon Searles got the win going 2 2/3 scoreless innings. He did not allow a hit but gave up 2 BB. He had 1 K. Randy Beam went the final 1 1/3 innings not allowing a hit or a BB. He struck out 3. David Bacani went 3 for 4 with 2 runs scored and a RBI. Luis Jimenez went 3 for 4 with 2 runs scored and 3 RBI. Dusty Brown went 2 for 4 with a home run and 2 runs scored. Jeremy West went 2 for 4 with a RBI. Lexington got by Greenville 7-5. Clay Buchholz went 5 shutout innings allowing 5 hits and 5 BB. He had 5 Ks. Ismael Casillas went 2 innings giving up 1 run on 2 hits and a BB. Hunter Jones took the loss allowing 6 runs on 5 hits and a BB in 2 innings of work. Zak Farkes went 3 for 4 with a run scored and a RBI. Yahmed Yema went 1 for 4 and scored 2 runs. Lowell edged Tri-City 3-2. Travis Beazley went 6 innings. He did not allow a run while giving up 3 hits and a BB. He had 3 Ks. Yulkin German went 2 innings allowing 2 runs on 4 hits and a BB. He had 1 K. Josh Papelbon pitched another scoreless inning allowing 1 hit. He had 1 K. Felix Ventura got the win pitching the final three innings. He did not allow a run. He gave up 1 hit and a BB while striking out 6. Zak Daeges went 2 for 6 with a RBI. Jon Still went 2 for 5 with a home run. Aaron Bates went 3 for 5 with a RBI. Ryan Khoury went 2 for 3.In the GCL, the Red Sox got by the Pirates 3-1. Joseph Guerra went 6 innings and recorded the win. He gave up 1 run on 4 hits. John Barnes pitched 2 scoreless, hitless innings. He walked 1 and had 1 K. Will Mann threw 1 scoreless inning. He allowed 1 hit. Jason Place went 2 for 3. Carlos Fernandez-Oliva went 1 for 4 and had 2 RBI. Jonathan Egan went 1 for 3 and scored 2 runs. Player of The Night: David Murphy who was a perfect 4 for 4 with a RBI and a run scored. As we settle down for our morning cup of coffee may we extend our prayers for a successful recovery for America's Mr. Baseball- Peter Gammons. Last night, Ottawa defeated Pawtucket 11-7. Kason Gabbard went 5 2/3 innings and got touched for 7 runs on 8 hits and 4 BB. He had 2 Ks. Tim Bausher went 1 1/3 innings allowing 3 runs on 5 hits and 3 BB. He struck out 1. Adam Stern went 4 for 5. He scored 3 runs and drove in 4 more. Corky Miller went 2 for 4 and scored a run. Portland got by New Britain 7-3. Chris Smith started and got the win going 6 innings. He allowed 1 run on 5 hits. He did not walk a batter and had 2 Ks. Edgar Martinez pitched the final 2 innings allowing 1 run on 3 hits. He did not walk anyone and had 1 K. Brandon Moss went 2 for 5 with a run scored and 2 RBI. Jeremy West went 2 for 4 with 2 runs scored and a RBI. Luis Jimenez went 2 for 4 with a home run and 3 RBI. Wilmington was not scheduled. In a game that lasted 12 innings, Greenville came from behind several times to edge Lexington 6-5. Mike Rozier started and went 3 innings. He gave up 3 runs on 5 hits and 3 BB. He had 4 KS. Tim Cox lasted 4 1/3 innings giving up 1 run on just 1 hit. He had 2 BB and 4 Ks. Kyle Fernandes went the final 3 innings for the win. He gave up 1 run on 5 hits and a BB. He had 1 K. Jay Johnson went 5 for 7 with a run scored and a RBI. Yahmed Yema went 3 for 6. Mark Wagner went 2 for 4 with a run scored and a RBI. Dominic Ramos went 3 for 7 with a run scored and 2 RBI. Tony Granadillo went 3 for 7 with a run scored and a RBI. Lowell lost 5-1 to Tri-City. J.T. Zink went 5 innings allowing just 1 run on 1 hit and 4 BB. He had 2 Ks. T.J. Large took the loss giving up 4 runs in 3 innings of work. He walked 1 and struck out 4. Josh Papelbon pitched a perfect inning of relief recording 1 K. Moises Santa went 2 for 4. Zach Daeges went 1 for 3. Aaron Bates went 1 for 4 with a home run. Finally in the GCL, the Pirates downed the Red Sox 3-1. Jose Capellan went 6 innings allowing 0 runs on 2 hits. He gave up 1 BB and had 6 Ks. Carlos Gonzalez was tagged with a blown save and the loss. He allowed 3 runs on 6 hits. He did not walk anyone and had 2 Ks. Roberto Sosa went 2 for 4 and scored a run. Manny Arambarris went 2 for 3 with a RBI. Player of The Night: Adam Stern who went 4 for 5 with 3 runs scored. He also had 4 RBI. On Monday, Pawtucket was edged 9-8 by Ottawa in 12 innings. Kyle Snyder started and went 6 innings. He allowed 1 run on 5 hits and a BB. He had 2 Ks. Craig Breslow lasted just 2/3 of an inning giving up 4 runs on 5 hits and 2 BB. He had 1 K. Jermaine Van Buren blew the save going 2 innings. He allowed 2 runs on 5 hits. He did not walk a batter and had 2 Ks. Brad Baker took the loss going 2 innings. He allowed 1 run on 1 hit and 1 BB. He had 1 K. Adam Stern went 2 for 6 and scored a run. David Murphy was also 2 for 6 and scored a run. Luke Allen went 3 for 5 and scored a run. Neither Portland or Wilmington were scheduled to play yesterday. Greenville edged Lexington 5-4. Chris Jones went 4 innings giving up 2 runs on 5 hits and 2 BB. He had 4 Ks. Jason Blackey went 2 innings. He allowed 2 runs on 2 hits and 2 BB. Matt Hancock got the win going 2 shutout innings. He allwed just 1 BB and had 1 K. Blake Maxwell threw 1 perfect inning of relief. Dominic Ramos went 2 for 4 with 2 RBI. Tony Granadillo went 1 for 2 and scored 2 runs. Logan Sorensen went 1 for 3 and scored a run. Tri-City blasted Lowell 10-4. Mario Pena went 5 innings giving up 2 runs on 5 hits and a BB. Dustin Richardson went 1 inning and gave up 4 runs on 4 hits and a BB. Jean Guillen went 2 innings. He gave up 2 runs on 3 hits and a BB. He had 4 Ks. Aaron Bates went 2 for 5. Jon Still went 1 for 4 with 2 RBI. Paul Smyth went 1 for 3 with a home run and 2 RBI. In the Gulf Coast League Red Sox left-hander Felix Doubront allowed just one hit over six innings as the Red Sox blanked the Twins 5-0 in a Gulf Coast League game at the Red Sox complex Monday.Michael Jones was 3-for-4 at the plate with a two-run home run and three RBI. Player of The Night: Kyle Snyder who went 6 innings giving up just 1 run on 5 hits. He had 1 K.
On Sunday the Pawtucket Red Sox were rained out against Columbus. The games will be made up when Pawtucket travels to Columbus in July because this was the last trip for Columbus to Pawtucket this year. In Portland the Seadogs fell to New Hampshire 4-1. Frank Brooks pitched 5 shutout innings giving up 1 hit while striking out 6 and walking 2. Chad Spann went 2-4 and Chris Durbin went 1-3 in the loss. Wilmington on Sunday slipped past Winston-Salem 4-3. Kevin Guyette pitched 5 effective innings giving up 2 runs which were not earned on 3 hits while striking out 2 and walking 4. Jeff Natale went 1-4 with 2 runs scored and Matthew Kent went 2-4 with an RBI. Scott White also hit a 2 run homerun in the win. Greenville pounded Hickory on Sunday 12-2. Ryan Phillips went 4 innings giving up no runs on 3 hits while striking out 6 and walking 3. Yahmed Yema went 3-5 with a homerun, triple and drove in 5 RBI. Mike Leonard went 2-3 with a homerun and 3 RBI in the victory. Lowell was rained out at Oneonta on Sunday while the GCL Red Sox had a day off. Player of the Night: Yahmed Yema who went 3-5 with a homerun, a triple, and 5 RBI in the Drive's 12-2 win over Hickory. On Saturday Pawtucket was rained out at McCoy Stadium. In Portland the Seadogs downed the New Hampshire Fishercats 4-2. Luis Mendoza pitched 6 innings giving up 2 runs on 5 hits while striking out 2 and walking 3. Edgar Martinez got the win in relief going 2 innings striking out 2. Brandon Moss went 1-4 with a homerun and Chad Spann went 2-4 in the win. Wilmington on Saturday split a doubleheader with Winston-Salem. The Blue Rocks fell in game 1 8-5. Matt Goodson got the start and went 5 innings giving up 4 runs on 4 hits while walking 6 and striking out 2. Jeff Corsaletti went 1-2 with a double and 2 RBI and Jed Lowrie had 3 walks in the loss. In Game 2 the Blue Rocks beat Winston-Salem 5-4. Andrew Dobies pitched 5 1/3 innings giving up 3 runs on 5 hits while walking 2 and striking out 5. Claudio Arias went 2-4 with 2 runs scored and Ian Bladergroen went 2-3 with an RBI and 2 runs scored in the victory. Greenville on Saturday lost 3-1 at Hickory. Michael Bowden got the start for the Drive and went 5 innings giving up 1 earned run on 3 hits while walking 2 and striking out 5. Chris Turner went 1-4 and hit his 16th homerun in the loss. Lowell fell at Oneonta 5-2. Ryne Lawson started for the Spinners and went 2 2/3 innings giving up 4 runs on 8 hits. Kris Johnson came out of the bullpen for the Spinners and pitched 2 shutout innings striking out 3. Jon Still went 1-3 and Aaron Bates went 1-4 in the loss. And finally the GCL Red Sox fell to the GCL Twins 2-1. Emilis Guerrero went 5 innings giving up 2 runs on 7 hits while walking 2 and striking out 2. Reid Engel went 3-5, Roberto Sosa went 2-3 and Matt Sheely went 2-4 with an RBI in the loss. Player of the Night: Claudio Arias who went 2-4 with 2 runs scored in Wilmington's Game 2 win over Winston-Salem. In Pawtucket the Pawsox were hammered by the Columbus Clippers 10-2. Abe Alvarez started for the Pawsox and was shelled for 8 runs in 3 2/3 innings while walking 4 and striking out 3 and giving up 3 homeruns. Luke Allen doubled and drove in a run to lead the Pawsox offense. In Portland the Seadogs fell to New Hampshire 4-2. Devern Hansack pitched 6 solid innings giving up no runs on 4 hits while striking out 6. Randy Beam took the loss giving up all 4 runs. Chad Spann went 2-4 with a double and Brandon Moss went 1-3 with an RBI in the loss. Wilmington was rained out on Friday. Greenville on Friday shutout Hickory 2-0. Clay Buchholz pitched 5 shutout innings only giving up 4 hits and striking out 5. Tim Cox came on in relief and also pitched shutout ball for 3 innings while striking out 4. Mark Wagner went 2-4 and Chris Turner hit a 2-run homerun for his 15th of the year to lead the Drive offense. Lowell on Friday fell to Oneonta 8-5. Jeff Farrell pitched 3 innings giving up 4 runs on 5 hits while striking out 2 and walking 2. Justin Masteron pitched 2 shutout innings out of the bullpen striking out 4. Zach Daegas went 2-5 with a double and Luis Segovia went 2-4 with 2 runs scored to provide the Spinners offense. And finally the GCL Red Sox fell to the GCL Reds 4-1. Ryan Colvin started and went 2 inning striking out 2 and giving up no runs. Emilio Linares went 2-3 with a triple and Chih-Hsien Chiang went 2-4 in the loss. Player of the Night: Clay Buchholz who went 5 shutout innings and striking out 5 to pick up his 4th win of the year. Last night saw Columbus defeat Pawtucket 8-2. David Pauley went 6 innings and gave up 5 runs on 4 hits and 5 BB. He had 2 Ks. Barry Hertzler went 1 1/3 innings. He gave up 2 runs on 1 hitand 2 BB. David Murphy went 1 for 4 with a home run. Jeff Bailey went 2 for 4. Ken Huckaby went 1 for 4 with a home run. Portland edged Connecticut 5-4. Jose Vaquendano ewent 6 innings allowing 0 runs on 3 hits and 2 BB. He had 3 Ks. Victor Ramos went 1 inning and allowed 3 runs on 2 hits and a BB. He had 1 K. Brandon Moss went 2 for 4 with a run scored and a RBI. Jeremy West went 2 for 4 with 2 RBI. Alberto Concepcion went 2 for 4 with a run scored and a RBI. Wilmington got by Potomac 3-1. Scott Shoemaker went 5 innings for the win. He allowed 1 run on 4 hits. He did not walk a batter and had 5 Ks. Justin Sturge went 2 innings allowing 0 runs on 1 hit. He did not walk anyone and had 1 K. Iggy Suarez went 1 for 3 with a run scored and a RBI. Mickey Hall went 1 for 2 and scored a run. Greenville edged Hickory 5-4. Mike Rozier went 6 innings. He gave up 4 runs on 7 hits and a BB. He had 6 Ks. Jason Blackey got the win. He went 1 inning and allowed 0 runs on 1 hit. He had 1 K. Hunter Jones went 2 innings. He did not allow a run. He allowed 1 hit, 0 BB and struck out 3. Jay Johnson went 2 for 4 with a home run and 2 runs scored. Chris Turner went 3 for 4 with a RBI. Bubba Bell went 3 for 4 with a RBI.Lowell trounced Vermont 9-3. Travis Beazley went 5 innings. He allowed 3 runs on 5 hits. He did not walk a batter and had 5 Ks. Jean Guillen went 2 innings for the win. He did not give up a run on 1 hit. Josh Papelbon pitched 2 perfect innings and had 3 Ks. Moises Santa went 2 for 4 with a run scored and 2 RBI. Luis Exposito went 2 for 3 with a run scored and a RBI. The Gulf Coast Red Sox fell 4-2 to the Reds. Joseph Guerra took the loss going 3 innings. He gave up 3 runs on 9 hits. He had 1 K. Mauricio Mendez went 4 innings giving up 1 run on 3 hits and a BB. He had 2 Ks. Manny Arambarris went 3 for 4 with a RBI. Chih-Hsien Chiang went 2 for 4. Player of The Night: Chris Turner who went 2 for 4 with a homer, 2 runs scored and 2 RBI. On Wednesday, Pawtucket was idle. Portland downed Connecticut 7-3. Chris Smith went 6 innings giving up 2 runs on 7 hits. He had 2 BB and had 8 Ks. Edgar Martinez pitched 1 inning of relief. he did not allow a hit but gave up 3 BB. He had 1 K. Randy Beam gave up 1 run in 1 inning of work. He gave up 1 hit, 0 BB and had 1 K. Tyler Minges went 3 for 5 with a run scored and 4 RBI. Brandon Moss went 2 for 5 with a run scored and a RBI. Wilmington edged Potomac 3-2. Tommy Hottovy went 6 innings allowing 2 runs on 5 hits. He had 2 BB and 4 Ks. Kyle Jackson went 2 innings allowing 0 runs on 1 hit and a BB. He had 1 K. Mike James pitched a perfect inning of relief and recorded 2 Ks. Jeff Corsaletti went 1 for 2 with a home run and 2 runs scored. Jed Lowrie went 1 for 3 with a RBI. Jeff Natale went 1 for 3 and scored a run. The South Atlantic League was still in their All Star break so Greenville did not play. Vermont defeated Lowell 4-1. J.T. Zink went 4 1/3 innings. He allowed 2 runs on 4 hits and a BB. He struck out 3. Yulkin German went 3 2/3 innings allowing 1 run on 2 hits and a BB. He had 5 Ks. Zach Daeges went 1 for 4 with a home run. Aaron Bates went 1 for 3. In the Gulf Coast League, the Red Sox edged the Pirates 7-6. Miguel Socolovich lasted only 2/3 of an inning. He gave up 4 runs on 1 hit and 4 BB. He had 1 K. Jose Capellan went 4 1/3 innings. He did not allow a run on 2 hits and 2 BB. He had 5 Ks. Carlos Gonzalez pitched 3 innings and received both a blown save and the win. He allowed 1 run on 3 hits and a BB. He had 2 Ks. Argenis Diaz went 2 for 5 with a run scored and a RBI. Carlos Fernandez-Oliva went 3 for 5 with a home run, 2 runs scored and 3 RBI. Roberto Sosa went 3 for 5 with a home run. Player of The Night: Tyler Minges who went 3 for 5 with a run scored and 4 RBI for Portland. On Tuesday, Pawtucket got by Richmond 8-5. Dustin Pedroia went 3 for 5 with 2 RBI raising his BA to .290. Ron Calloway went 2 for 3 and scored 2 runs. Alex Machado went 2 for 4 scoring a run and driving in another. Jeff Bailey went 2 for 5 and scored 2 runs. Kevin Guyette started and went 4 innings. He gave up 5 runs on 9 hits. He walked 2 and struck out 4. Marc Deschenes pitched the final 5 innings to get the win. He did not give up a run and allowed 3 hits and 1 BB. He had 2 Ks. Portland blanked Connecticut 9-0 behind the strong starting pitching of Kason Gabbard who went 7 shutout innings allowing just 2 hits. He did not walk a batter and had 5 Ks. Brandon Moss went 3 for 4 with 2 runs scored. Jeremy West went 3 for 4 with 2 home runs and 3 runs scored. Chris Durbin went 2 for 4 with a home run and 3 RBI. Wilmington fell to Potomac 10-4. Jacoby Ellsbury went 1 for 3 with 2 RBI. Chuck Jeroloman went 1 for 2 with 2 BB. He scored a run. Gary Galvez went 3 1/3 innings allowing 6 runs on 9 hits and 1 BB. He had 3 Ks. Randy Newsom went 4 1/3 innings. He allowed 1 run on 2 hits and a BB. He had 3 Ks. Greenville did not play as it is the South Atlantic League's All Star game break. Lowell won their first game of the year defeating Vermont 4-1. Zach Daeges went 2 for 4 with 2 RBI. Jason Twomley went 1 for 2 with a run scored. Mario Pena went 5 innings giving up 1 run on 3 hits and a BB. He had 3 Ks. Dustin Richardson went 2 innings allowing 0 hits and 0 BB. He struck out 5. In the Gulf Coast League, the Red Sox were hammered by the Pirates 12-1. Roberto Sosa went 1 for 3 and scored a run. Pedro Vasquez went 1 for 2. Felix Doubront went 4 innings giving up 4 runs on 6 hits. He did not walk a batter and had 2 Ks. Player of The Night: Kason Gabbard who pitched 7 innings of 2 hit shutout ball for the Sea Dogs. Action was light on Monday with only two teams in action. Pawtucket defeated Richmond 5-3. Charlie Zink went 7 innings to earn the win. He allowed 1 run on 6 hits and 4 BB. He had 1 K. Ryan Schroyer went the final two innings allowing 2 runs on 3 hits. He gave up 2 BB and had 1 K. Adam Stern went 2 for 5 with a home run and 2 runs scored. Dustin Pedroia went 2 for 3 with a run scored and a RBI. Ken Huckaby went 2 for 4 with a RBI. Alex Machado went 2 for 4 and scored a run. Connecticut edged Portland 4-3. Luis Mendoza went 6 1/3 innings allowing 4 runs on 11 hits. He had 2 BB and had 1 K. Frank Brooks went 1 2/3 scoreless hitless innings. He gave up a BB and had 1 K. Mike Bumatay also threw a hitless inning of relief giving up 0 BB and striking out 1. Brandon Moss went 2 for 3 scoring 2 runs and driving in another. Wilmington and Greenville were both idle. Today marks the opening of action for both Lowell and the Gulf Coast Red Sox. Player of The Night: Charlie Zink who went 7 innings last night allowing 1 run on 6 hits for Pawtucket. On Sunday, the Wilmington Blue Rocks won their eighth straight game, claiming a playoff berth by winning the Carolina League Northern Division first-half title. The win came courtesy of a ninth inning rally to overcome the Winston-Salem Warthogs by a score of 4-3. Wilmington centerfielder Jacoby Ellsbury (pictured, right) helped start the rally, and closer Mike James got the win. Pawtucket celebrated Father's Day by defeating Richmond 8-5 in a 17 inning marathon. Matt Ginter went 7 innings allowing 2 runs on 4 hits. He did not give up a walk and had 4 Ks. Craig Breslow went 2 1/3 innings. Although he was not charged with a run, he was credited with a blown save. He allowed 1 hit and 2 BB. He had 2 Ks. Tim Bausher was credited with the win. He went 5 inningsallowing 0 runs on 3 hits and 2 BB. He had 2 Ks. Barry Hertzler got the save pitching a hitless 17th although he allowed 2 BB. Adam Stern went 2 for 9 with a run scored and a RBI. Dustin Pedroia went 3 for 6 with a home run. Luke Allen went 4 for 8 with a run scored and a RBI. Hee-Seop Choi went 2 for 8 with a homer and 2 runs scored. Portland outslugged New Hampshire 14-7. Matt Goodson went 3 2/3 innings giving up 3 runs on 4 hits and 3 BB. He had 4 Ks. Randy Beam went 3 innings and gave up 3 runs on 3 hits. He gave up 1 BB and had 2 Ks. Edgar Martinez went an inning. He allowed a run on 2 hits. Tyler Minges went 5 for 6 with 2 runs scored and 2 RBI. Brandon Moss went 2 for 6 with a home run, 2 runs scored and 3 RBI. Jeremy West went 2 for 5 with 2 runs scored and a RBI. Dusty Brown went 2 for 4 with a run scored and 2 RBI. Alberto Concepcion went 2 for 5 with 2 runs scored and a RBI. Zach Borowiak went 3 for 5 with a homer 2 runs scored and 2 RBI. Wilmington edged Winston-Salem 4-3. Andrew Dobies went 5 innings giving up 2 runs on 6 hits. He did not allow a BB and had 4 KS. Justin Sturge went 3 innings allowing 1 run on 1 hit and a BB. He had 4 Ks. Jacoby Ellsbury went 3 for 4 and scored a run. Andrew Pinckney went 2 for 4. Jed Lowrie went 1 for 3 with a run scored and a RBI. Asheville defeated Greenville 5-1. Ryan Phillips took the loss going 5 innings. He allowed 2 runs on 2 hits and 2 BB. He had 8 Ks. Felix Ventura went 1 2/3 innings. He gave up 3 runs on 5 hits. He had 2 Ks. Jason Blackey went 2 1/3 innings allowing 0 runs on 2 hits. He did not allow a BB and had 2 Ks. Logan Sorensen went 2 for 4. Matt Mercurio went 4 for 4 with a RBI. Christian Lara went 2 for 4. Player of The Night: Tyler Minges who went 5 for 6 with 2 runs scored and 2 RBI. Happy Father's Day to all the fathers out there. Hope you enjoy your daily cup of coffee. On Saturday, Pawtucket got by Richmond 11-7. Abe Alvarez went 4 1/3 innings giving up 7 runs on 12 hits and a BB. He had 1 K. Craig Hansen went 2 2/3 innings. He gave up 0 runs on 1 hit and a BB. He had 1 K. Barry Hertzler went the final 2 innings and got the win. He did not give up a run and allowed 4 hits. He did not walk a batter and had 2 Ks. Dustin Pedroia went 3 for 4 scoring a run and driving in another. Ron Calloway went 2 for 4 with 2 runs scored and 3 RBI. Hee-Seop Choi went 2 for 5 with a home run, 2 runs scored and 2 RBI. Portland lost both games of a twin bill to New Hampshire by scores of 6-2 and 4-3. In the first game, Jose Vaquedano took the loss going 3 1/3 innings. He gave up 5 runs on 7 hits and 5 BB. He had 2 Ks. Jon Searles went 2 innings allowing 1 run on 1 hit. Jeremy West went 1 for 2 with a home run. Zach Borowiak went 1 for 2 and scored a run.In the second game, Devern Hansack started and went 5 innings. He allowed 2 runs on 4 hits and a BB. He had 6 Ks. Edgar Martinez blew the save and took the loss. He did not record an out and gave up 2 runs on 3 hits. Jeremy West went 1 for 2 and scored a run. Alberto Concepcion went 2 for 2 with a run scored and a RBI. Wilmington edged Winston-Salem 6-5. Jacoby Ellsbury went 2 for 5. Bryan Pritz went 2 for 4 with a run scored and a RBI. Jeff Corsaletti went 3 for 4 with 2 RBI. Iggy Suarez went 2 for 4 and scored a run. Scott Shoemaker went 5 innings allowing 2 runs on 5 hits and a BB. He had 1 K. Jason Richardson blew the save giving up 3 runs on 3 hits in 2 innings of relief. He had 3 Ks. Kyle Jackson got the win going 2 scoreless innings of relief. He allowed 1 hit while walking none and striking out 4. Greenville split a doubleheader with Asheville losing the first game 3-1 but coming back to take the nightcap 6-4. In the first game, Mike Bowden started and went 6 innings. He gave up 1 run on 4 hits. He gave up 3 BB and had 4 Ks. The Drive only had 3 hits in the game with Chris Turner accounting for their only run with his 13th home run. In the second contest, Hunter Jones got the start. He went 4 innings allowing 3 runs on 3 hits and 2 BB. He had 5 Ks. T.J. Large got the win going 2 innings. He allowed 1 run on 1 hit. He did not walk a batter and had 2 Ks. Blake Maxwell got the save pitching 1 scoreless inning allowing 1 hit. Dominic Ramos went 2 for 3 and scored 3 runs. Chris Turner went 3 for 4 with a run scored and 4 RBI. Jay Johnson went 1 for 2 with a home run and 2 runs scored. Player of The Night: Chris Turner who in his 2 games was 5 for 7 with a home run, 2 doubles and 5 RBI. On Friday, Norfolk rocked Pawtucket 10-3. David Pauley started and went 4 1/3 innings. He gave up 5 runs on 5 hits and 4 BB. He had 2 Ks. Ryan Schroyer went 2 2/3 innings allowing 2 runs on 4 hits and a BB. He had 3 Ks. Tim Bausher went an inning allowing 3 runs on 4 hits. He did not walk a batter and struck out 1. Ron Calloway went 2 for 3 and scored a run. Jeff Bailey went 2 for 5 and had a RBI. Portland blanked New Hampshire 8-0. Chris Smith went 7 innings. He gave up 0 runs on 5 hits. He did not walk a batter and had 4 Ks. Brandon Moss went 2 for 3 and scored 3 runs. Tyler Minges went 2 for 6 and scored a run. Chad Spann went 2 for 4 with a run scored and 2 RBI. Luis Jimenez went 1 for 4 with a home run and 3 RBI. David Bacani went 2 for 5 with a home run. Wilmington got by Winston- Salem 6-2. Tommy Hottovy went 6 2/3 innings allowing 1 run on 2 hits. He allowed a BB and had 3 Ks. Beau Vaughn went 1 1/3 innings. He gave up 0 runs on 1 hit. Justin Sturge went 1 inning. He allowed 1 run on 2 hits. Bryan Pritz went 2 for 4 and scored 3 runs. Jeff Natale went 2 for 3 with 3 RBI. Asheville doubled Greenville 6-3. Mike Rozier took the loss going 5 2/3 innings. He allowed 4 runs on 4 hits and 6 BB. He had 5 Ks. Ismael Casillas went 3 1/3 innings giving up 2 runs on 3 hits. He did not walk a batter and had 4 Ks. Mark Wagner went 3 for 3 and scored twice. Chris Turner went 2 for 4 with a RBI. Player of The Night: Chris Smith who pitched 7 shutout innings in his win for the SeaDogs. He allowed 5 hits but did not walk a batter and had 4 Ks. Last night was a busy one with the four teams involved in six games including two doubleheaders. Pawtucket split a twinbill with Norfolk. They lost the first contest 2-1. Mario Pena started and took the loss going 4 innings. He gave up 3 runs on 4 hits and 2 BB. He had 4 Ks. Craig Hansen pitched a scoreless inning of relief allowing 1 hit. He struck out 1. Adam Stern went 1 for 3 with a home run. Alex Machado went 1 for 2. They came back, however, to win the nightcap 5-1 behind the pitching of Charlie Zink. He went 6 innings and allowed just 1 run on 4 hits and 3 BB. He had 3 Ks. Craig Breslow threw 1 inning of perfect relief striking out 2. Corky Miller went 1 for 3 with a home run and 3 RBI. Dustan Mohr went 1 for 1 and scored twice. Alex Machado went 1 for 2 and had a RBI. Portland blanked Bowie 2-0. Kason Gabbard went 7 innings allowing 0 runs on 4 hits and 2 BB. He had 5 Ks. Edgar Martinez picked up the save throwing 1 inning of scoreless relief. He allowed 1 hit and struck out 2. Chris Durbin went 2 for 5. Jeremy West went 2 for 4. Chad Spann went 1 for 4 with a home run. Wilmington got by Potomac 7-5. Jacoby Ellsbury went 2 for 5 with a run scored and a RBI. Bryan Pritz went 4 for 5 with a run scored and 2 RBI. John Otness went 2 for 4 with a run scored. Gary Galvez went 5 1/3 innings giving up 5 runs on 9 hits and 2 BB. He had 1 K. Kyle Jackson blew the save and picked up the win going 1 2/3 innings. He allowed 0 runs on 1 hit. He gave up 0 BB and had 3 KS. Greenville took the first game of their doubleheader doubling Charleston 4-2. Clay Buchholz went 5 innings allowing 1 run on 3 hits. He walked 2 and struck out 7. Jason Blackey blew the save and then picked up the win. He allowed 1 run on 3 hits. He walked 1 and struck out 1. Logan Sorensen went 2 for 3 with a run scored and a RBI. Tony Granadillo went 1 for 3 with 2 runs scored and a RBI. Charleston took the nightcap 1-0. Tim Cox started and went 5 innings allowing 1 run on 5 hits. He did not walk a batter and had 4 Ks. Bubba Bell, Mark Wagner, Mike Leonard, and Chris Turner were all 1 for 2. Player of The Night: Bryan Pritz who went 4 for 5 with a run scored. He had 2 RBI. Last night saw the Pawtucket - Norfolk game rained out. Bowie doubled Portland 8-4. Luis Mendoza went 5 innings allowing 3 runs on 9 hits and 2 BB. He had 4 Ks. Randy Beam blew the save going 1 2/3 innings. He allowed 1 run on 2 hits. He did not allow a BB and struck out 2. Jon Searles took the loss allowing 3 runs on 5 hits in 2/3 of an inning. He had 2 Ks. Chad Spann went 2 for 5. Chris Durbin went 3 for 4 and scored a run. Brandon Moss went 1 for 4 with a home run and 2 RBI. Luis Jimenez went 1 for 5 with a home run. Jeremy West went 2 for 4 and scored a run. Wilmington edged Potomac 5-4 in 12 innings. Kevin Guyette went 5 innings allowing 2 runs on 3 hits and a BB. He had 5 Ks. Jason Richardson went 3 innings giving up 0 runs on 1 hit . He did not allow a BB and had 4 Ks. Beau Vaughn got the win going 2 1/3 innings. He allowed 0 runs on 3 hits. He did not walk a batter and had 3 Ks. Bryan Pritz went 1 for 4 with 2 runs scored and a RBI. Jed Lowrie went 2 for 6. Jeff Natale went 2 for 3 with 2 RBI. Ian Bladergroen and Mickey Hall both went 2 for 4 and each scored a run. Finally, Charleston edged Greenville 6-5. Dominic Ramos went 2 for 5 with 2 runs scored and a RBI. Yahmed Yema went 3 for 5 with a home run, 2 runs scored and 3 RBI. Logan Sorensen went 2 for 4 with 2 RBI. Chris Jones went 4 innings allowing 5 runs on 7 hits and 3 BB. He had 3 Ks. Kyle Fernandes went 3 innings allowing 0 runs on 0 hits. He walked 1 and struck out 2. Matt Hancock took the loss giving up 1 run on 1 hit and 3 BB in 1 1/3 innings of work. Player of The Night: Yahmed Yema who went 3 for 5 with a homer, 2 runs scored and 3 RBI. The Lowell Spinners started workouts today and unofficially set their 2006 roster. Expect a few additions and deletions before the NY-Penn League starts on Tuesday, but for now, here's a look at the projected roster. 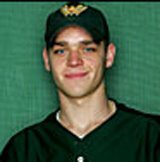 Keep in mind that 2006 draftees Daniel Bard and Bryce Cox are still participating in the college World Series - both are likely to sign with the Red Sox and could be assigned to Lowell. In action last night, Norfolk edged Pawtucket 1-0. Matt Ginter started and took the loss going 7 innings. He gave up 1 run on 4 hits and 3 BB. He had 5 Ks. Craig Breslow went 1 scoreless, hitless inning in relief. Adam Stern, Dustin Pedroia, and David Murphy all were 1 for 4. Enrique Wilson, Ken Huckaby, and Trent Durrington all went 1 for 3. Portland increased their first place lead in the Northern Division of the Eastern League to 7 games by beating Bowie 9-3. Chad Spann went 3 for 5 with a home run and 2 RBI. Brandon Moss went 3 for 4 with a home run, 3 runs scored and 3 RBI. Matt Goodson got the win going 6 innings allowing 1 run on 3 hits and a BB. He had 4 Ks. Devern Hansack went 2 innings giving up 2 runs on 5 hits and 2 BB. He had 5 Ks. Wilmington got by Potomac 7-4. Bryan Pritz went 2 for 4 with a run scored and 4 RBI. Iggy Suarez went 2 for 4 and scored 2 runs. Andrew Dobies went 6 innings allowing 3 runs on 8 hits. He did not give up a walk and had 3 KS. Kyle Jackson got the win going 1 1/3 innings. He gave up 1 run on 1 hit and 2 BB. He had 2 Ks. The Greenville- Charleston game was rained out. Player of The Night: Brandon Moss who was 3 for 4 with a home run, 3 runs scored and 3 RBI. Monday was a light night of action as only two games were played. Portland and Wilmongton were both idle. Pawtucket got by Richmond 8-6. Adam Stern went 2 for 5 and scored a run.Dustin Pedroia went 3 or 5 and scored 2 runs. He has now raised his average to .280. David Murphy went 2 for 3 and scored a run. Gabe Kapler went 2 for 5 and had 2 RBI. Enrique Wilson went 2 for 4 with a home run, 2 runs scored and 4 RBI. Marc Deschenes started and went 5 innings in picking up the win. He allowed 3 runs on 7 hits and 3 BB. He had 3 Ks. Brad Baker got the save going 1 inning. He allowed 1 run on 1 hit and a BB. He struck out 1. Charleston edged Greenville 2-1. Dominic Ramos went 2 for 5. Mark Wagner went 1 for 3 and scored a run. Chris Turner went 1 for 3 and had a RBI. Ryan Phillips started and took the loss giving up 2 runs on 3 hits in 3 2/3 innings. Hunter Jones pitched 3 1/3 innings of scoreless ball on 3 hits. He did not walk a batter and had 6 Ks. Player of The Night: Enrique Wilson who went 2 for 4 with a home run, 2 runs scored and 4 RBI. On Sunday, Pawtucket defeated Richmond 5-2. Abe Alvarez started and went 7 innings. He allowed 1 run on 5 hits and a BB. He had 5 KS. Craig Hansen picked up the win in relief going 1 inning. He allowed 1 run on 1 hit and a BB. Adam Stern went 2 for 4 and scored a run. Dustin Pedroia also went 2 for 4 with a run scored. David Murphy went 1 for 4 with a home run and 4 RBI. Enrique Wilson went 2 for 3. Portland edged Erie 2-1. Phil Seibel started and went 5 scoreless innings. He gave up 3 hits while allowing 0 BB. He struck out 8. Victor Ramos picked up the win pitching 1 perfect inning of relief while striking out the side. Tyler Minges went 2 for 5 and had a RBI. Gabe Kapler went 2 for 4 and scored a run. Wilmington edged Winston-Salem also by a 2-1 score in a game that was shortened to 6 innings due to rain. Tommy Hottovy pitched the 6 innings to pick up the win. He gave up 1 run on 5 hits and a BB. He had 4 Ks. Jacoby Ellsbury went 1 for 3 and scored a run. Bryan Pritz went 1 for 3 and scored a run. Jeff Natale went 1 for 3 with a RBI. Mickey Hall went 1 for 2. The Greenville- Asheville game was called due to rain.